I genuinely need a new bed this month. And with a small room and a large mattress, it’s imperative that I know what the next one will look like, whether it’ll go with the decor in there, and whether I’ll genuinely be happy plonking down coin and taking the trouble to transport it to my 4th floor apartment. VR shopping can help with some of that – but not with everything you need in order to confidently make a purchase. The good news is, we’re nearly there, and it could be a whole lot of fun. 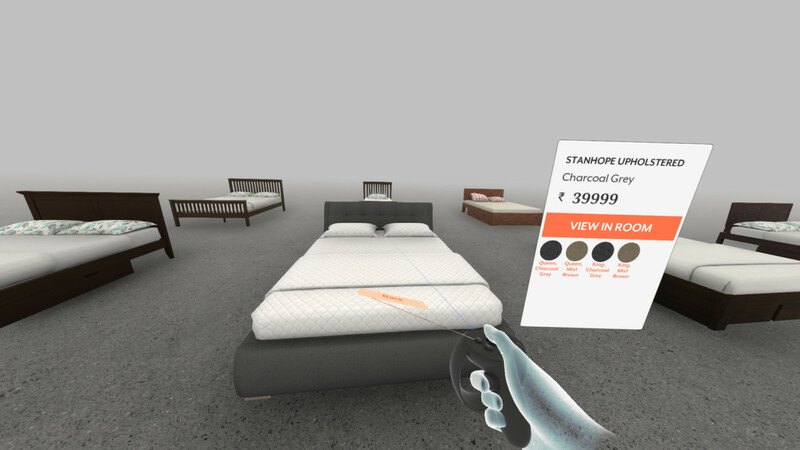 While a number of retailers have built VR experiences to market their brands, those efforts don’t serve much more of a purpose than to get people excited about the VR and increase brand recall. 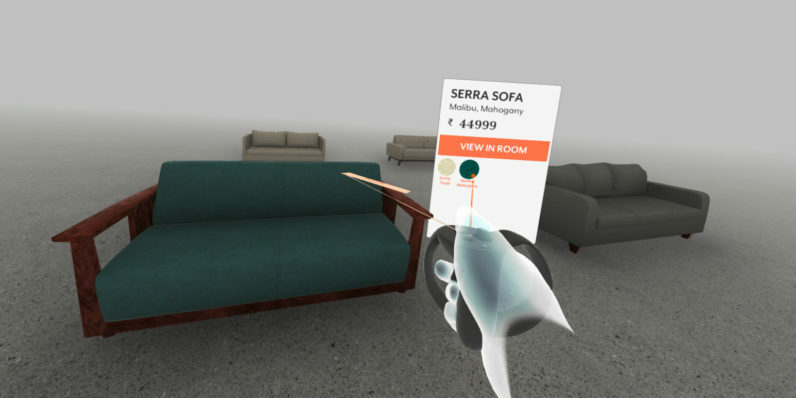 A couple of companies have ventured further into VR with the goal of getting people to actually buy stuff: IKEA has a VR store that you can stroll through to gather inspiration for your home interiors and shop for items. And last year, China’s Alibaba launched Buy+, an immersive experience that allowed users to explore a virtual mall and pop into stores like Macy’s to buy a wide range of personal and home products. At my home base in Bangalore, India, I got a chance to try furniture superbrand Urban Ladder’s new VirtUL experience. Borne out of a 20-percent project developed in just three months by four employees within the five-year-old company, it’s presently a basic in-store setup that uses an Oculus Rift headset and controller to let you check out beds and sofas in preset rooms, with the option to change upholstery fabrics and wall colors to get a better sense of what these products might look like. While VirtUL does a good job of showing you what your desired products might look like in a physical space – complete with accurate light reflections depending on the finishes you choose – but there’s plenty of room for improvement. In order for VR shopping to really take off, headsets have to become as ubiquitous as smartphones so people can browse wherever they like, on their own time and in as private a setting as they like. These devices need to get cheaper and more easily accessible still: Google’s $79 Daydream View, which comes with a controller, currently only works with a small number of high-end phones; other options from HTC and Oculus cost hundreds of dollars and require top-of-the-line PCs to work. Beyond that, people need to feel comfortable wearing and using a headset for as long as they’d normally shop – and perhaps even more. Plus, moving around in immersive virtual worlds can make some folks feel queasy; that’s a problem that needs to be tackled before people reach for their headsets instead of their phones and tablets to buy stuff. Leaving aside the graphics and motion control, virtual shopping doesn’t work to empower you with all the data points you need to make a purchase. For example, if you’re in the market for a bed like I am, it makes sense to first exclude all the options that are too big or too small for your room; you might want to then sort items by price and see what’s available at both ends of the spectrum. That’s especially true for things like furniture, which you’ll likely use for several years to come. Next, you’ll want to be able to narrow your options down to a small number of items that meet your needs, flip through specifications like materials, storage options and prices, as well as reviews from other buyers. The current crop of VR shopping apps aren’t geared for these instances at all. They’re much more about showcasing products in an environment that you feel like you can walk around in and look at from any angle you choose – and that’s great. It’s just not how people shop right now. When checking out beds for my room, I didn’t feel like I’d learned enough about the range of products available, and the problem was compounded by the fact that I now had to shop for something to accommodate an uncommon size of mattress in India (we don’t often do California King size beds). Find me on the couch flipping through the same bunch on my phone, however, and I’ll almost certainly be able to tell you which ones work best for my room, which ones I’m confident about buying and what they cost. 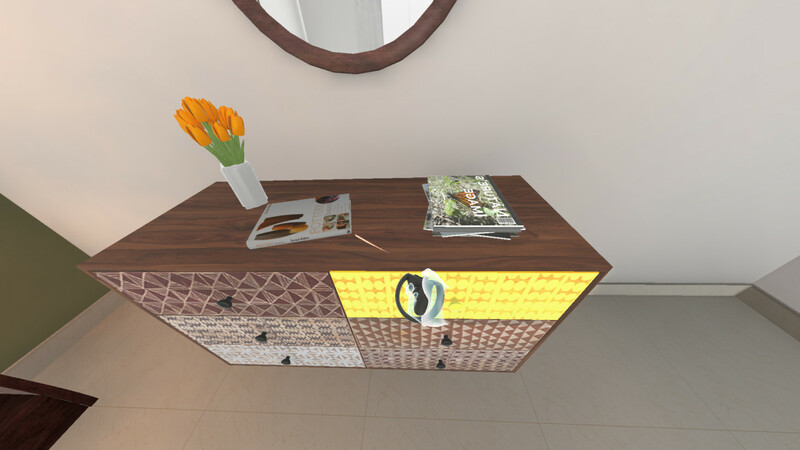 While testing VirtUL at Urban Ladder’s store, I constantly felt self-conscious as I was surrounded by other people who, sans headsets, were watching my actions in VR mirrored on a TV screen in front of me; I also felt anxious about how much time I was spending looking at a single element, like the fabric on an upholstered headboard. Walking from one product to another takes a few seconds too – a lot more than it does to simply scroll through several different items in a mobile shopping app. I couldn’t imagine myself doing this for numerous products in one sitting. 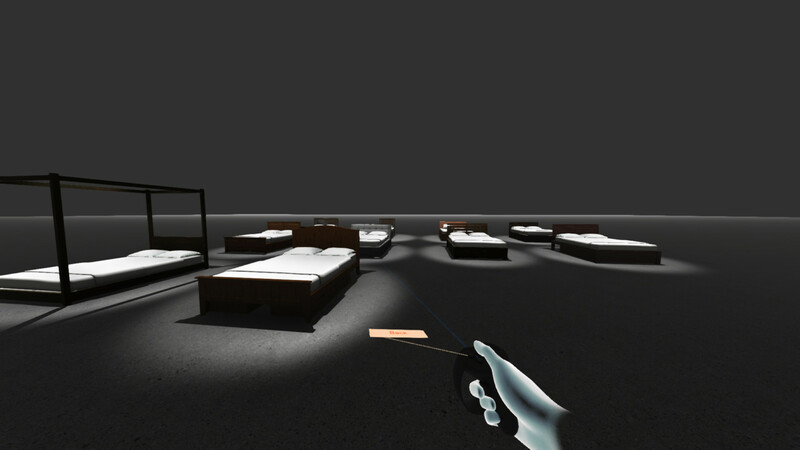 And that’s from someone who’s had a chance to use VR gear in the past; if you haven’t tried a headset on before, the entire experience might be all too novel for you to actually concentrate on the task at hand: deciding if that four-poster bed really goes with your mid-century decor (hint: probably not). 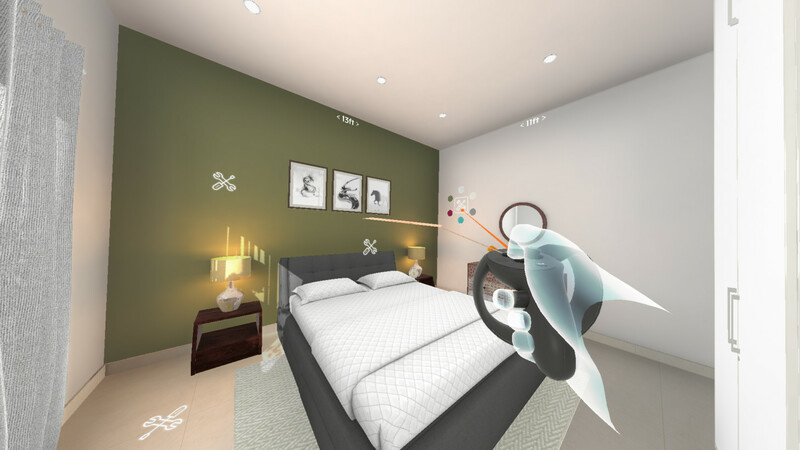 Speaking to me about the future of VirtUL, Urban Ladder’s co-founder and CPTO, Rajiv Srivatsa said that the company planned to work on ways to personalize the visualization experience so that customers can see items in rooms and floor layouts that resemble their own. In the long term, we want to make it more ubiquitous across our stores, and release downloadable apps for customers to use on their own because the platform will be far more mainstream in the next three years – at least a lot more than it is today. We want to enable them to visualize the products outside the store. We would also like to take the experience to a more 4D experience where group viewing is a possibility on a bigger screen and without the device, gamifying the experience a lot more. The ultimate goal is to enable customers to make purchases right on the platform. Clearly, there’s a long way to go before people begin slipping on headsets when they need to buy something. But all those pain points that we’re experiencing now can certainly be addressed with streamlined interactions and retooled user flows to help people shop smarter and faster. To achieve this, brands will do well to bake in all the learnings we’ve gathered over the years with desktop and mobile stores. They’re now pretty good at recommending products you’ll like based on your taste, as well as surfacing all the information you need to feel confident that you’re making a good choice. Add big data to the mix for things like predicting which items you’ll want to see, what’s trending in your area and what you’re most likely to buy based on your purchase history, and you have a recipe for an efficient shopping experience that people might actually enjoy. Plus, VR is slated to become more commonplace over the next few years, what with the prices of devices and headsets already starting to drop sharply. Expect to go shopping in virtual reality on the regular by 2020 or so, from the comfort of your couch.